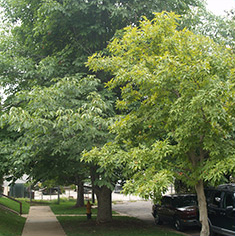 Arbor Garden understands how trees respond to pruning. Even in the best conditions, trees require pruning to help them coexist with their surroundings and to channel energy into attractive foliage and structure. Each time a tree is cut, you can change its growth or cause damage. Removing foliage from a tree reduces the tree's ability to feed itself through photosynthesis and may decrease its growth. That's why you'll want to choose Arbor Garden to care for your trees.